More than being the better half of a renowned journalist, Jill Rhodes also has an impressive résumé. However, Rhodes is famous for being the wife of Sean Hannity, a popular face on cable news, a radio and television host as well as an author. Given how Sean Hannity has successfully managed his career and marriage for more than two decades, his wife has made headlines as there have been queries regarding details of her family life and career. Here is everything you need to know about Jill Rhodes, an ambitious journalist who decided to place family priorities over her promising career. An Alabama native, Jill Rhodes was born on the 27th of August 1962. While there is no information regarding her parents, early life, and education, available to the public, we do know that Rhodes is very educated. She studied journalism at the University of Alabama and further studied theology and pastoral counseling at conservative hotbed Liberty University. She was not a public person and didn’t actually want to be propelled into the limelight. However, her marriage to Sean Hannity, the popular talk show host, and conservative political commentator gave her the not-so-desired fame. Rhodes is happily married to her fellow journalist Sean Hannity. Their love story began when Rhodes was working as a political columnist for the Huntsville Times and Hannity working in WVNN radio in Huntsville. Though their first contact was in 1991 when Hannity made a call to Rhodes, it was not until the next year before they actually met in person. Their first meeting obviously went well as the lovebirds soon spawned their relationship to the next level. Convinced that Sean was the guy she was willing to spend the rest of her life with, the couple courted for less than a year before officially tying the knot in 1993. Jill and Sean’s union has produced two kids. In 1999, they welcomed a son Patrick and three years after, their daughter Merri Kelley was born. Though Rhodes always nursed big ambitions for her career and had the potential to make a name for herself as a popular TV face just like her husband, she, however, chose to forgo that for her family priorities. Rather, she has been Hannity’s backbone, giving him support behind the scenes for the most of his career as a journalist. Despite being a popular media face and name, the couple has chosen to wear their fame lightly by maintaining a low profile for their family. As much as possible, Jill and Sean try to keep details of their family under the radar. Jill Rhodes has been married to Sean Hannity for over two decades and just like fine wine, their love seems to only be getting better over the years. Thankfully, Sean is a dedicated husband and father who appreciates Jill’s sacrifices. He has severally stated publicly that Rhodes is the brain behind his numerous achievements adding that his family completes him in ways unexplainable. 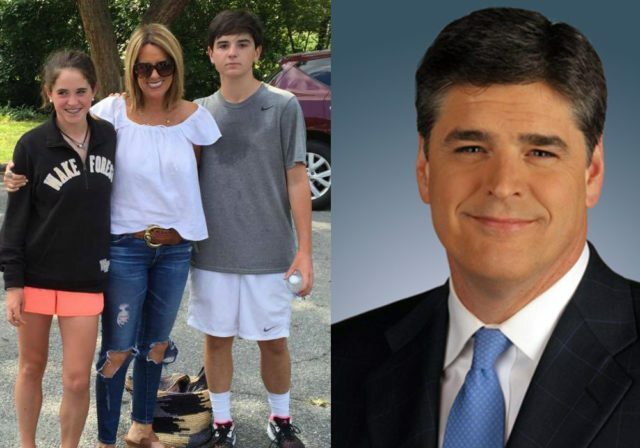 In fact, in 2002, Hannity published his first book – Let Freedom Ring: Winning the War of Liberty Over Liberalism, which he dedicated to Rhodes and his kids, Sean Patrick, and Merri Kelly. But like all success stories, Jill and Sean’s marriage hasn’t been without its own travails and controversies. A couple of times, their marriage has been rumored to be nose-diving following allegations of infidelity on Hannity’s part. 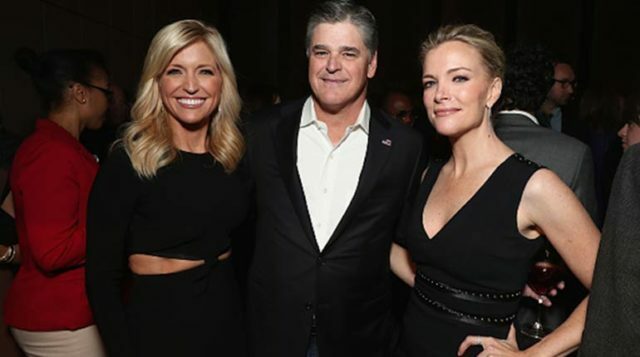 In the course of their marriage, not only has Rhodes’ husband been romantically associated with other women including his co-workers, the speculations were further compounded when in 2013, Hannity admitted that he gets attracted to other women. More so, in 2017, Hannity joined the long list of Fox news anchors who have been accused of sexual harassment. Piqued by the allegations, Sean however publicly debunked the rumors, describing them as malicious lies spread against him and his family. According to him, the rumors were coordinated efforts propelled to silence those with conservative views in a fiercely divided and vindictive political climate. Reiterating that all that had been written about him and his family in the media were false, Sean further warned that he will no longer tolerate slanderous lies about him to go unchallenged, but will fight them through the best possible means. 1. Rhodes and her family reside in Long Island, New York. 2. Before giving up her career for family life, Rhodes also worked as a book editor in Manhattan. 3. Rhodes husband Hannity is also popularly known as one of the biggest Trump supporters on Fox Network. Besides his first book which he dedicated to his family, Hannity has authored several other books such as Conservative Victory – Defeating Obama’s Radical Agenda and Deliver Us From Evil, Liberalism, and Nepotism. 4. While the exact value of Jill Rhodes’ net worth is uncertain, it is known that Hannity has a net worth pegged at $80 million, a fortune which he amassed mostly from his career as a journalist. Given that Rhodes has been a strong pillar for her husband, the Hannity-Rhodes family sure have enough wealth to enjoy a comfortable and good life.